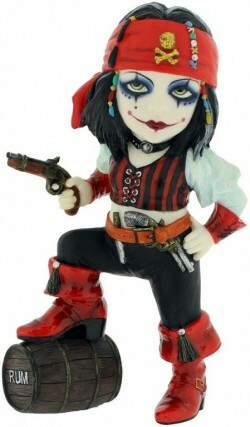 Pearl Black Gothic Girl pirate figurine with pistol in hand and her foot resting on a rum barrel, part of a collection from Cos Play Kids. Made from a high-grade solid resin. Excelllent detail. Highly detailed and from the popular Nemesis Now range.